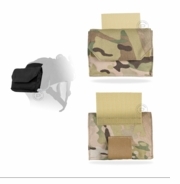 The NIGHTCAP™ BATTERY POUCH mounts to the rear VELCRO® panel of the NIGHTCAP™ and provides a general purpose pouch for holding NVG battery packs. It is ideal for battery packs that do not mount well with adhesive backed hook fasteners, or for users who prefer their battery packs to sit much lower on the NIGHTCAP™. 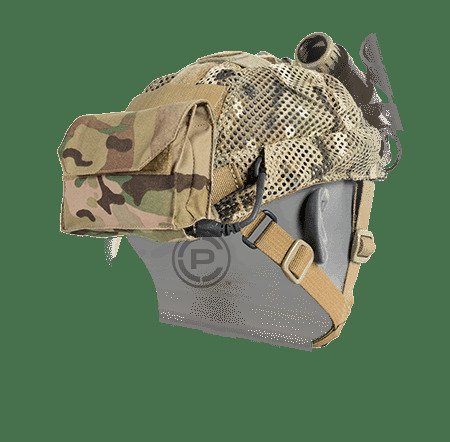 A cable pass through is provided at the lower right corner and aligns with the integrated cable management of the nightcap. One size fits all. Made in the US from US materials. • Mounts directly to the nightcap with VELCRO® brand fasteners. 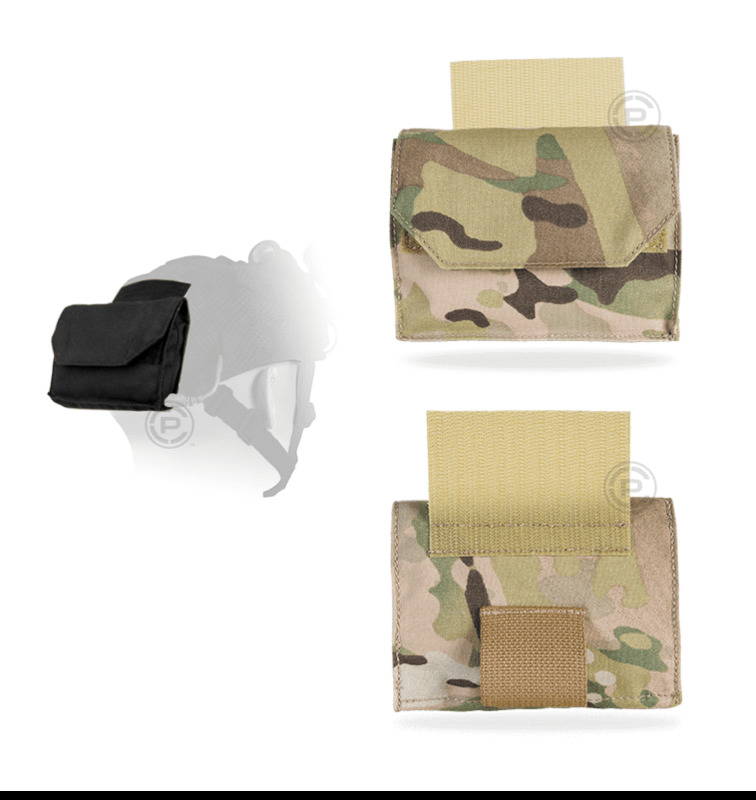 • Internal VELCRO® Loop panel keeps battery packs from shifting.